On the night of 10th October 1941 a Defiant nightfighter of the 409 (RCAF) Sqn had taken off from RAF Coleby grange in Lincolnshire on an operational patrol. 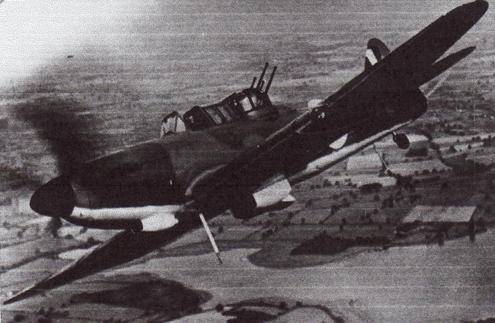 The aircraft flown by Flt/Lt Watson went out of control whilst flying in cloud over the north Norfolk coast. His gunner Flt/Sgt McKinnon baled out safely, landing at Flitcham. Unfortunately Flt/Lt Watson perished. Frederick Stanley Watson was born in Winnipeg, Canada on 10th February 1915 and joined the RCAF on 6th November 1939. He arrived in England in early September 1940 at the height of the Battle of Britain. He was in a batch of Canadian pilots sent to 6 OTU Sutton Bridge to convert to Hurricanes on the 21st September. He was then posted to 3 Squadron at Turnhouse on 5th October. He then moved to 1 (RCAF) Sqadron, operating Defiants, as one of their commanders. He is buried in Scopwick Burial Ground, Lincolnshire.